Glamorous, creative and stylish. Thats my approach to photography.? 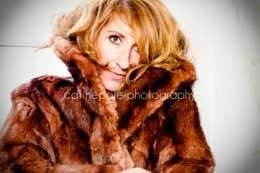 I am a newly established photographer working from Leeds, but covering a wider area. As I build my portfolio I am happy to offer some complimentary shoots to models who are also looking to expand their image bank.? I have a passion for all things stylish and a photographic session with me is always fun, glamorous and creative. You'll love it. ?